Is Robert Vinson's 'Oswald Double' Story Credible? You are here: Home › Further Reading › JFK Assassination FAQs › Is Robert Vinson’s ‘Oswald Double’ Story Credible? Vinson claimed to have been a passenger on a cargo plane which whisked an Oswald impostor away from Dallas three hours after the assassination. The plane landed close to downtown Dallas, but no-one seems to have noticed it. A former US Air Force sergeant, Robert Vinson, claimed to have witnessed an interesting event on the afternoon of the JFK assassination. 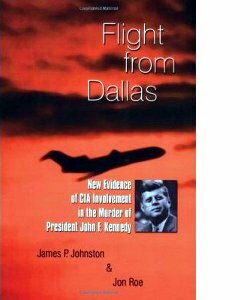 Vinson’s story was first reported in James Johnston and Jon Roe, Flight from Dallas: New Evidence of CIA Involvement in the Murder of President John F. Kennedy , 1st Books, 2003. 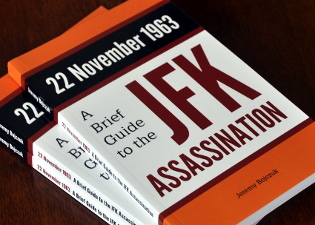 A later account placed Vinson’s story in the context of the events immediately after the assassination; see James Douglass, JFK and the Unspeakable: Why He Died and Why It Matters , Orbis Books, 2008, pp.298–304. The popularity of JFK and the Unspeakable has prompted the following discussion of Vinson’s story. According to Robert Vinson, he travelled by bus on the morning of 22 November 1963 from Washington, DC, to the nearby Andrews Air Force Base, with the intention of hitching a ride on an Air Force plane to Ent Air Force Base in Colorado Springs. He was told that the only available flight was on a cargo plane heading to Lowry Air Force Base in Denver, about 50 miles north of Colorado Springs. He and two pilots were the only people on the plane, which lacked the usual Air Force markings. At some point during the flight, the pilot announced over the intercom that “the president was shot at 12:29.” The plane immediately turned and headed south. At about 3:30, Vinson recognised the city of Dallas. The plane landed on a rough patch of land close to the Trinity River, between downtown Dallas and Oak Cliff. With the plane’s engines still running, two men in beige overalls got on board, not speaking to each other or acknowledging Vinson’s presence. The plane quickly took off again, and landed shortly after dusk on a proper runway. The two passengers and the two pilots all rapidly left the plane. Vinson, alone, made his way to a building, where he was told to his surprise that he had landed not in Denver but at Roswell Air Force Base in New Mexico. He made his way to Colorado Springs the next day. Watching the television coverage of the assassination, he was struck by a resemblance between Lee Oswald and one of the two men who had got on the plane in Dallas. About a year later, Robert Vinson was summoned back to Washington, DC, and from there to CIA headquarters in Langley, Virginia. He spent five days there, undergoing psychological and physical tests, after which he was formally invited to join the CIA. He declined the offer. Early in 1965, the Air Force informed Vinson that he would be working in an administrative role for the CIA at a secret base north of Las Vegas. At the base, he discovered other planes which contained the same unusual markings as the plane he had taken on the day of the assassination. After a year and a half working for the CIA, Robert Vinson retired. For nearly thirty years, he told very few people about his experiences on the day of the JFK assassination. After the passage of the JFK Records Act in 1992, Vinson consulted his Congressional representative, who informed him that he was now free from any restrictions imposed by his former employment. Vinson gave an interview to a local television station. The ensuing publicity brought him to the attention of a local lawyer, James Johnston, who collaborated with a journalist, Jon Roe, on the book, Flight from Dallas . James Douglass takes Robert Vinson’s account and places it next to those of several other witnesses to form a consistent narrative of events immediately after the assassination. Helen Forrest claimed that the man looked like Oswald. Some of the witnesses to the murder of Officer J.D. Tippit claimed that the killer looked like Oswald. About 80 minutes after the assassination, the police caught up with Lee Oswald at a cinema, the Texas Theater. Oswald was arrested in the main auditorium, and was taken out of the front entrance. Butch Burrows, who worked at the Texas Theater, witnessed the arrests of Oswald and, a few minutes later, of the man who “looked almost like Oswald, like he was his brother or something.” Burrows saw Oswald being taken out through the front entrance, and the other man taken out the back. Two police reports mention that the arrest at the Texas Theater occurred in the balcony. Bernard Haire, who owned a shop nearby, witnessed the commotion at the front, then walked along an alley to the rear of the building and saw a man, whom he identified as Lee Oswald, being bundled into a police car. At 2pm, after Oswald had been driven to the main Dallas police station, a man resembling Oswald was seen sitting in a car, at a location roughly equidistant from Oswald’s rented room, the site of Tippit’s murder, and Jack Ruby’s apartment. The location was only a few minutes’ drive from the landing site of Vinson’s plane. T.F. White, who was working nearby, thought the man was acting suspiciously, and wrote down the car’s details: a red 1961 Ford Falcon, number PP 4537. Watching television later that day, he recognised Lee Oswald as the man he had seen in the car. PP 4537 was the number of a 1957 Plymouth, not a 1961 Falcon. The 1957 Plymouth was registered to one Carl Amos Mather. Carl Mather and his wife were good friends of Officer Tippit’s widow, and indeed had visited Marie Tippit a few hours after the policeman’s murder. Carl Mather worked for Collins Radio, a subsidised–profit corporation contracted to the CIA. and waited for the CIA cargo plane to come and pick him up. The factor linking the PP 4537 car and the plane on which Robert Vinson was a passenger was, of course, the CIA. Even the Warren Commission and the House Select Committee on Assassinations agreed that Silvia Odio, who claimed to have encountered ‘León Oswald’ in the company of anti–Castro Cubans, was a credible witness. The HSCA’s Lopez Report provided evidence that Oswald was impersonated in Mexico City at around the same time as ‘León Oswald’ was seen in Dallas. There is little evidence that an Oswald double was present at the TSBD. A gunman was seen by several witnesses, most of whom described someone who did not resemble Oswald. The only witness whose description matched that of Oswald, or his double, was inconsistent and unreliable. Because there are no known photographs of the man who got into the car, there is no way to tell whether he was an impostor, or Oswald himself, or simply a misidentified member of the public. Not all of the witnesses to Officer Tippit’s murder described the gunman as resembling Oswald. Several witnesses described someone who was very unlike Oswald: stocky, and with bushy hair. Of those witnesses who did identify the gunman as Oswald, several did so after poor police procedures, which might not have withstood challenge at a trial. One witness’s identification of Oswald was particularly unreliable. Warren Reynolds first of all denied that the man resembled Oswald; only after he survived being shot in the head did he decide that his original identification was mistaken and that the man was Oswald after all. A plot which required an impostor to lead the police to the Texas Theater could surely have found a way for the impostor to make his way out of the building surreptitiously rather than being removed publicly, under arrest. If someone did impersonate Oswald on the day of the assassination, the impersonation does not appear to have had a substantial effect in incriminating the patsy. Although an expert claimed that it was possible to land a plane of the correct type on a particular area close to the Trinity River, no corroboration of the event appears to exist. One might imagine that there would be plenty of eye–witnesses to a large cargo plane landing and taking off a mile or so from downtown Dallas a few hours after the city had become the centre of the world’s attention. 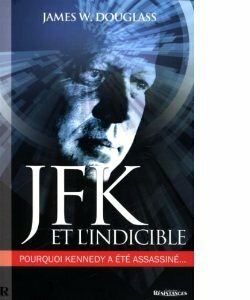 Not only is no corroboration cited, but JFK and the Unspeakable fails to mention any effort to find witnesses or documentary evidence to demonstrate that such an unusual event occurred. Sending a large cargo plane with distinctive markings hundreds of miles to collect one man is not the most practical or efficient way to remove a conspirator quietly from the scene of the crime. There were plenty of roads out of Dallas, and the chance of anyone getting stopped must have been insignificant. Someone who looked like Oswald would have been under no more suspicion than anyone else until about 2pm, when Oswald’s appearance became known as he was paraded through the police station. The plane is supposed to have arrived in Dallas at around 3:30pm, by which time someone escaping by car could have been far away. The Oswald double is supposed to have made his escape in no fewer than four cars, but covered only four or five miles in three hours. A Rambler station wagon took him away from Dealey Plaza; more than an hour later, a police car took him away from the Texas Theater; a few minutes later, he drove a red Falcon from an unknown location to a car park outside a restaurant; and finally, an hour and a half later, he disembarked from a jeep before boarding the plane. 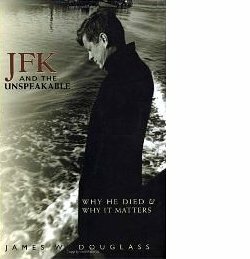 Although JFK and the Unspeakable is one of the better books about the assassination, its need to present a complete narrative of events has led James Douglass to include several episodes, in particular the Robert Vinson story, which may be true but which lack corroboration and hence credibility.